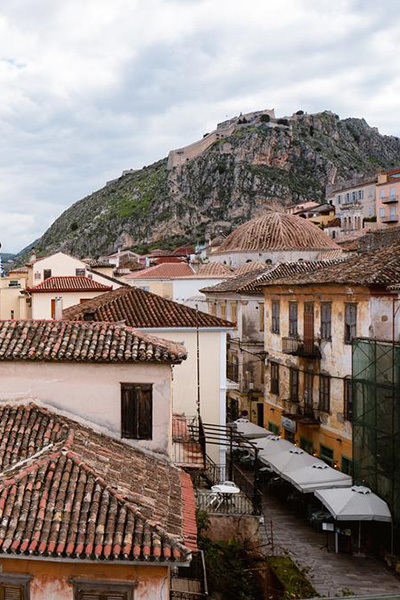 Inhabited since antiquity and ruled by Byzantines, Franks, Venetians and Turks, Nafplio’s history is just as colourful and varied as its many charming buildings. It was the Venetians who undoubtedly left the most impressionable mark, seen in the city’s architecture and layout. They were also responsible for the construction of the Palamidi Fortress, which later fell to the Turks. 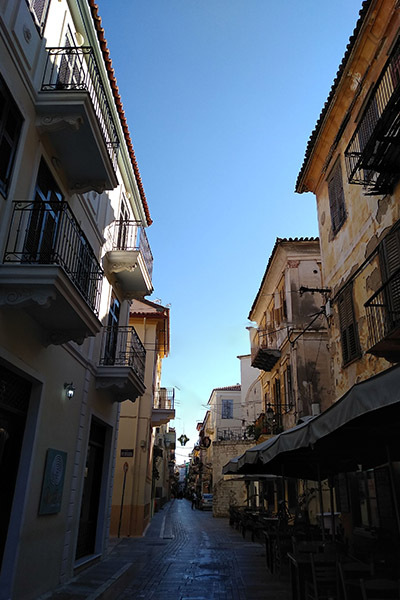 Nafplio is brightest moment came in 1821 when Ioannis Kapodistrias the first leader of the recently-liberated Greek Republic declared the city as the country’s capital. He was later assassinated outside the St. Spyridon church that still exists in the city today, as well as a memorial statue dedicated to him in Constitution Square. Castello dello Soglio was the first name of the Venetian castle, which along with Palamidi, is considered one of the landmarks of Nafplio. Nevertheless, the name that finally prevailed is Bourtzi, which in Turkish means « Island – Fort ». With the Venetian «castle of the throne» there is always a dilemma for you: Is it better to gaze it from a distance- like a postcard that never fades- or to wander in its microcosm and smell strong smells of history? What is certain is that just looking at it is not enough; just like everybody else , you will probably want to know its history. Or otherwise known as the 999 steps! If you are an extreme person and the winds don’t favour for kite surf, you can take the steps up to Palamidi and keep yourself in excellent shape at the same time. And, to be frank, the stairs are only 857! 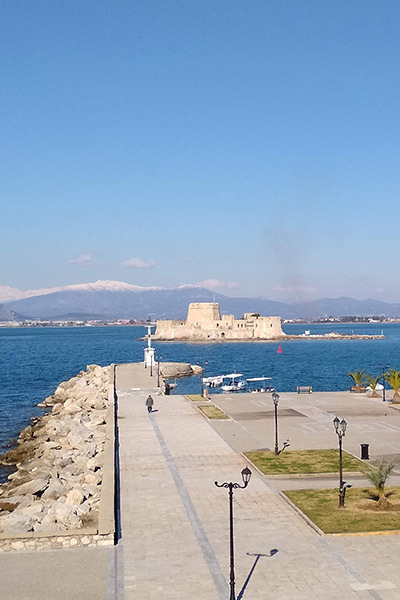 To be more serious, the idea is not so extreme, considering that you can make resting stops along the way, seating on the larger steps and having the unique view of Nafplio and of the sea as a reward. There is, however, the option that the majority of the visitors prefer; get inside your car and drive to the east side of the castle.